In “Many Languages, One World 2016,” 51 of the 60 winners attend the Many Languages, One World® Global Youth Forum from July 25-31. The video highlights the 51 winners’ time spent in Hempstead, New York, including preparations, speeches at the United Nations, and sightseeing activities. 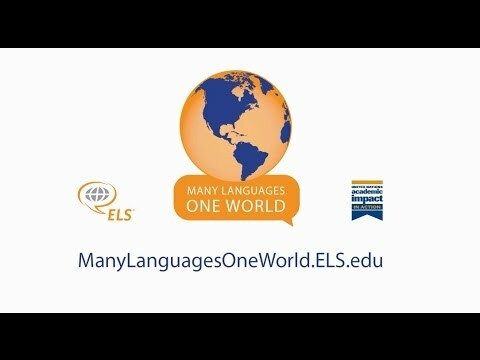 “Many Languages, One World 2016,” showcases celebrations from the 2016 event. Many Languages, One World 2016 brought together students from different cultures to share ideas and present action plans related to the United Nations 2030 Agenda for Sustainable Development. The video features words from Mr. Mark W. Harris, L.H.D., President Emeritus of ELS Educational Services, Inc.; Ms. Cristina Gallach, United Nations Under-Secretary-General for Communications and Public Information; Mr. Mogens Lykketoft, President of the General Assembly; Mr. Ahmad Alhendawi, United Nations Secretary-General’s Envoy on Youth (delivering a message from UN Secretary-General Ban Ki-Moon) and Mr. Ramu Damodaran of the United Nations Academic Impact. The Many Languages, One World contest challenged college and university students around the globe to write an essay examining global citizenship, cultural understanding and the role that the multilingual ability can have in fostering both. Entrants submitted essays in one of the six official languages of the United Nations, which could not be either the student’s first language or in his/her primary language of instruction. The winners attended the Many Languages, One World Global Youth Forum at Hofstra University in Hempstead, New York. The event included an all-expense-paid trip to New York and the opportunity to speak at the General Assembly of the United Nations.